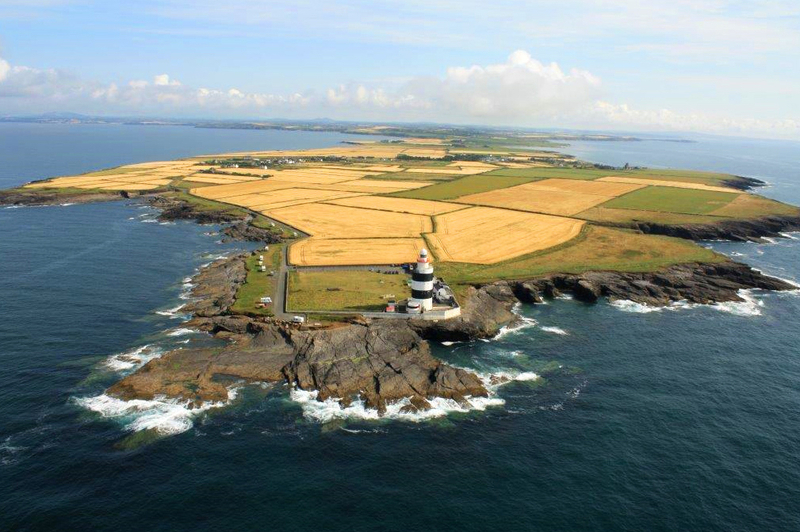 Hook Lighthouse – The oldest original operating lighthouse in the World. 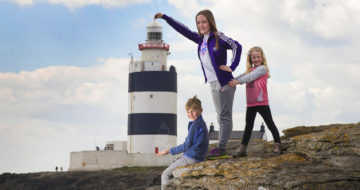 Enjoy a tour of Hook Lighthouse, one of the most popular visitor attractions on Ireland’s Ancient East. 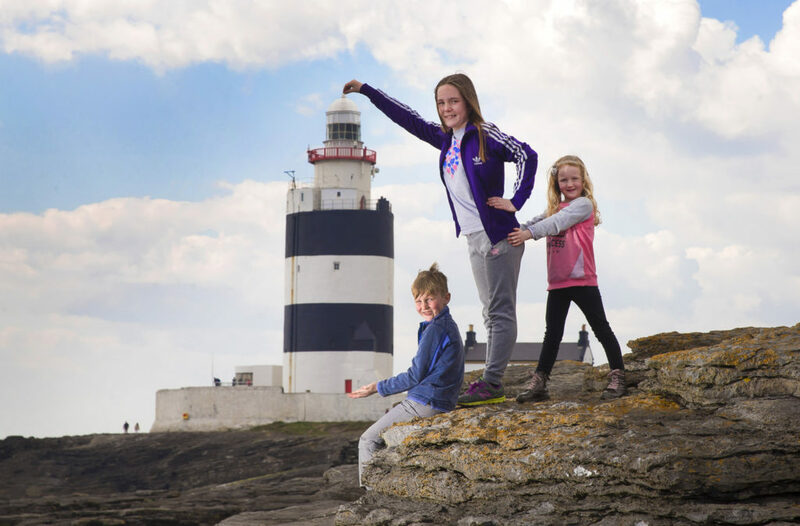 Loved by visitors year round this 800 year old lighthouse has many accolades, chief amongst them; it is the oldest original operating lighthouse in the world… yes, the world! 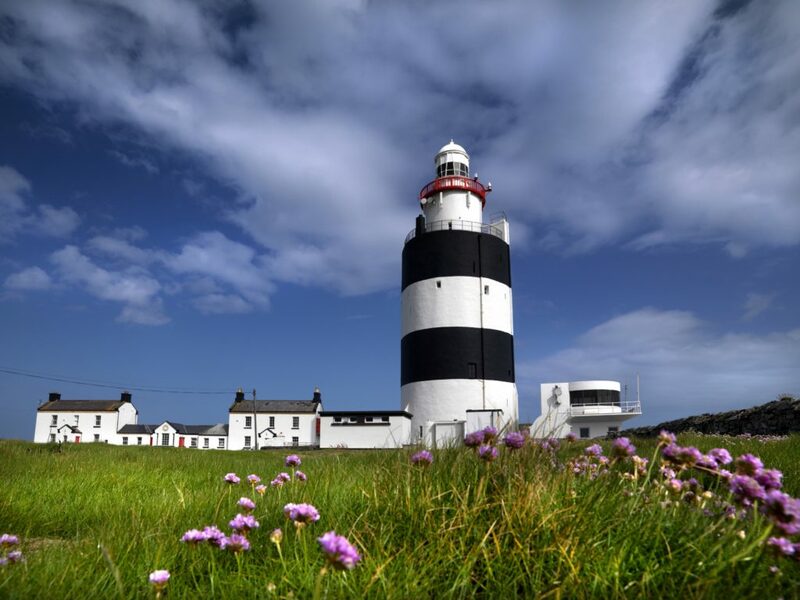 The 800-year-old lighthouse stands proudly at the tip of the beautiful Hook Peninsula; it is a true gem situated in the South East corner of Ireland’s Ancient East. 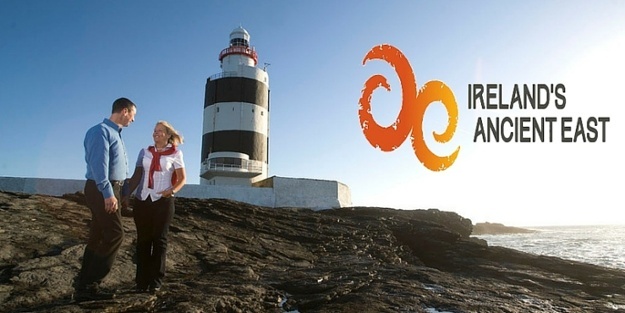 It was voted in Ireland’s top 10 favourite attractions plus Ireland’s favorite hidden gem in the 2018 Irish Travel Awards and with a fascinating tour on offer, it’s not hard to understand why it ranks so highly. Visitors from across the globe enjoy climbing the 115 well-worn steps of the tower, stepping back in time and exploring the thick-walled chambers. 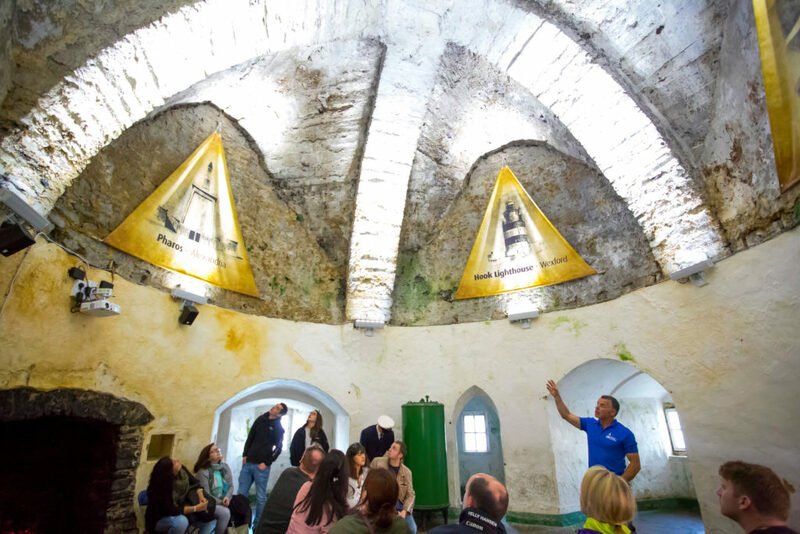 The tour experience at the lighthouse takes you on a journey through time; you first meet the life-size hologram of St Dubhán, a monk who tells of perishing nights spent with fellow monks in the 5th century warning sailors against dangers with a beacon they kept alight on the headland. Make your way to the second floor and meet another life-size figure, the Knight William Marshal, dubbed by the Archbishop of Caterbury as “the greatest knight that ever lived”, he tells his tale of his empire in the Southeast of Ireland, how he built Kilkenny Castle and Tintern Abbey how he built the Hook lighthouse tower in the 13th century in order to guide shipping to his port at nearby New Ross. 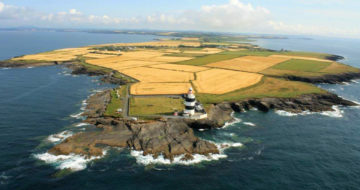 On the third floor you can hear tales of times gone-by of life as a lighthouse keeper in Ireland. 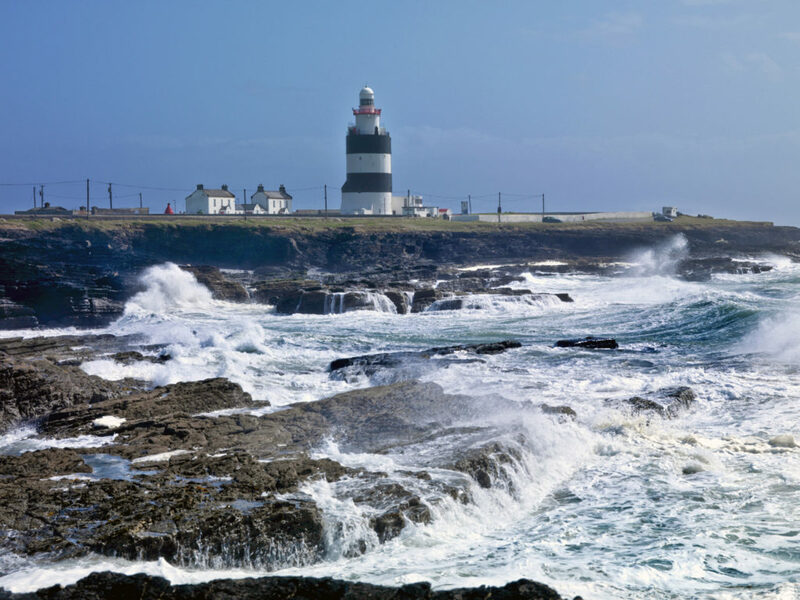 And when you reach the tower balcony enjoy the sea breeze on your face as you gaze at the miles of stunning coastline and an awesome 360degree view of the Southeast of Ireland & experience the newly opened watchroom offering a panoramic observatory across the estuary. 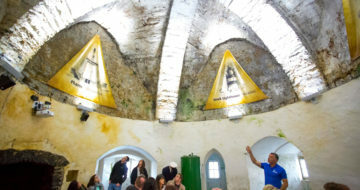 Guided tours of the lighthouse tower are on offer 7 days a week from 9.30am to 5.00pm.sharing with visitors one of the greatest experiences on Ireland’s Ancient East. 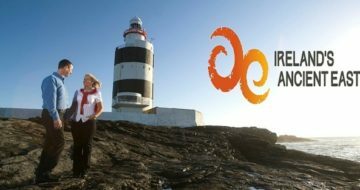 Tours are every half hour from 9.30 to 5.00pm and later during peak season. 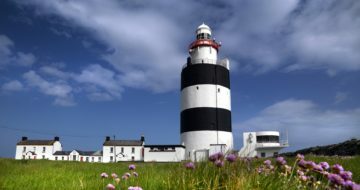 Bespoke and private tours are also on offer and don’t miss out on the regularly announced Sunset and Sunrise Tour Experiences; for all the details see www.hookheritage.ie For updates on news, events and festivals at the lighthouse follow @HookLighthouse on Facebook, Twitter & Instagram. 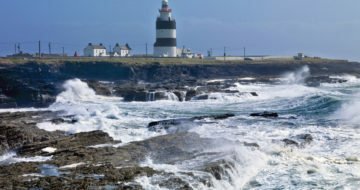 Location: Hook Lighthouse, Fethard-on-Sea, Wexford, Ireland.